Covidien/Kendall's MEDI-TRACE™ pre-wired neonatal tape electrodes provide superior adhesion and ease of use for quality neonatal ECG monitoring. They are pre-wired for extra convenience with 24" color-coded radiolucent wires, ending in industry standard .060" safety sockets. The electrodes are constructed of comfortable, fluid-repellent clear tape substrate backing for skin visibility and protection against hydrogel moisture loss under warming lights. Their conductive adhesive hydrogel provide firm adhesion without irritation of newborns' delicate skin. 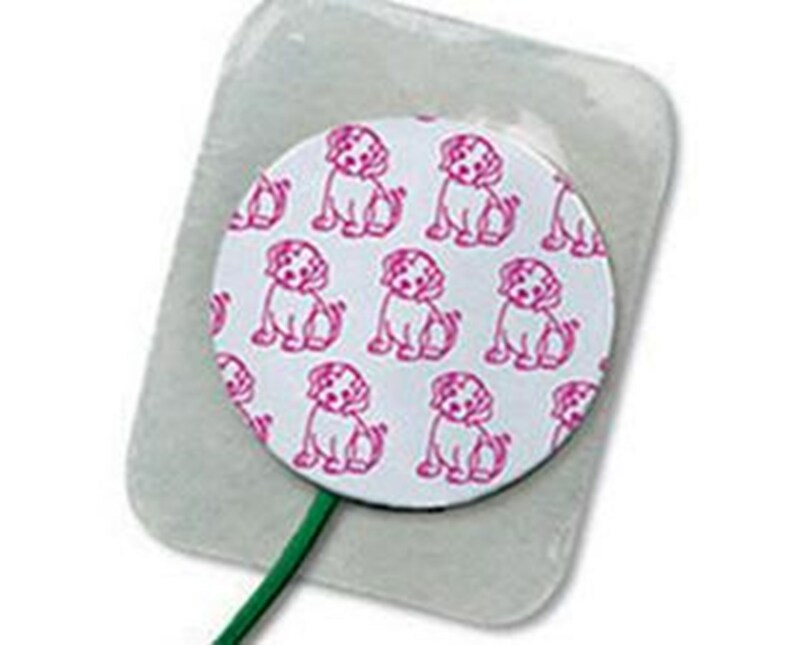 They feature a child-friendly "puppy" design for use in neonatal and pediatric ICUs and general monitoring. Each order includes 300 electrodes - divided into one hundred packs of 3 electrodes each for freshness - for convenience and budget-friendliness. 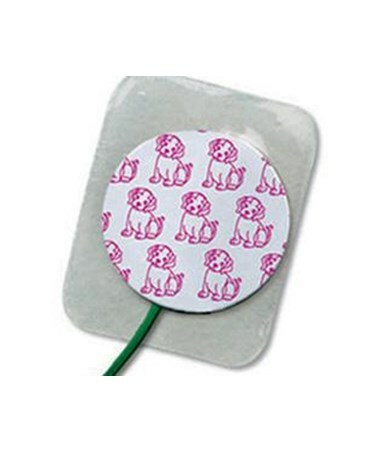 The electrodes are available in two sizes and shapes to suit every physician's and facility's needs. The round electrodes measure 1" in diameter, while the rectangular electrodes measure 1" x 1.25". Both sizes are designed for easy lead placement and removal. Choose a size from the drop-down menu in the upper right corner of this page, then click "add to cart" for hassle-free ordering at the lowest price!